Home » Team » David Hammond, M.S., Ph.D.
Dr. Hammond is an Environmental Chemist with a broad, interdisciplinary background in sustainable wastewater treatment, chemical ecology, strategic planning, natural products chemistry, sustainable agriculture, international community development, product innovation, and organizational management. He has 25 years of experience working in the field of sustainability, helping companies innovate and problem-solve, especially by learning from nature, a field called biomimicry. Dr. Hammond is our Vice President of Engineering. He previously co-founded GO2 Water, specializing in Design-Build-Operate of large-scale, engineered natural systems for the economical and ecological treatment of wastewater for total recycling, using anaerobic digestion to produce biogas and using microalgae to aerate the water and capture its nutrients in a process that leaves no sludge residuals. 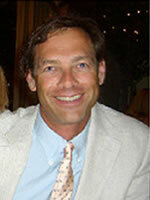 Dr. Hammond also founded a non-profit corporation, Altertec, which grew to 100 employees fostering sensible development in Latin American communities, including potable water systems and sustainable agriculture techniques. The theoretical and practical framework for Altertec’s educational work is Permaculture Design, which encourages the conscious design of agricultural ecosystems that mimic natural ecosystems, particularly in their diversity of species and their symbiotic interactions. Dr. Hammond earned a M.S. degree from UC Berkeley’s Energy & Resources Group, and a Ph.D. in Agricultural & Environmental Chemistry, specializing in chemical ecology – the interaction of plants and animals at the chemical level. He is fluent in Spanish and comfortable in Portuguese. 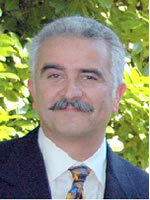 He has published in scientific journals spanning environmental chemistry, medicinal chemistry, and pharmacology. He is the inventor on two patents and a frequent speaker at a wide range of conferences and meetings. Mr. Hammond holds Ph.D. and Master of Science University of California Berkeley. 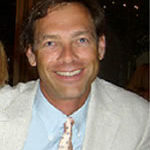 He also holds a Bachelor of Arts in Third World Studies and Spanish Linguistics from University of California San Diego. He has also been a University Regents Fellowship twice and had received the Magy Scholarship for excellence in entomology.